UP Lekhpal Admit Card 2015: The Uttar Pradesh Government has published the admit card for candidates who apply for the Accountant post. 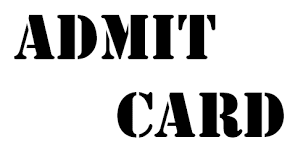 So, the Admit Card 2015 is now available in this website. The people can download your BOR Admit Card 2015 from the direct link. The Board of Revenue(BOR), Uttar Pradesh was announced the recruitment for accountant post on June/July month. The people who applied for the post can download your UP Lekhpal Hall Ticket 2015 from the official website(bor.up.nic.in). The Department of Revenue is already closed the registration process. Now, the Board of Revenue has published the admit card for candidates who already applied for the accountant post. The exam is being held on 13th sep 2015 for 13,600 vacancies. The admit card only available on the website between 01-09-2015 to Till exam date. So, the candidates must download your Uttar Pradesh Lekhpal Admit Card 2015 as soon as possible before end of the date. Go to Board of Revenue site(bor.up.nic.in). Click the Accountant Recruitment Examination-2015( लेखपाल भर्ती परीक्षा 2015) notification. It move on to the next page, then find the button "Login for Admit Card". Enter into that and it ask your category(caste). Next type your username and password. Finally click login button and download your Uttra Pradesh Lekhpal Hall Ticket 2015.